Does this mod do something better/differently than doing this in the COFH settings? Or is this intended for people who are not using that mod? Since I can't find one, I'm guessing there is no config file for this mod? Any way you cold create one so we could whitelist/blacklist dimensions? 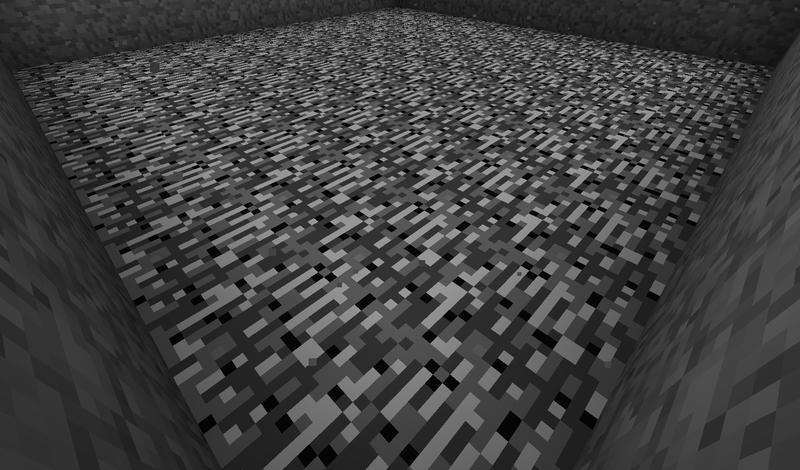 It would also be helpful if we could have some control over how any layers of bedrock are created. Thanks. Mayby a silly question,... but in 1.12, does the mod remove the top layer(s) of bedrock from the nether? I was recommended this mod but it's a bit of a silly mod since this be great server side mod but you have it forced to be required to have the client to have it as well. You might want to reconsider that in the future. Using 1.10 version. If you find a way to get this working, Would you be willing to share the source code with me. ModBedrockGenerator.java - Does effectively the same your mod. ModWorldGenerator.java - Places my ores in the world. If I get mine working first, I will share my code with you. It’s not cheating if you don’t consider it cheating. No crash log or anything, but when trying to create a world in 1.11, the world does not load with this mod installed/enabled. Yeah, there is a HUGE problem with this mod in 1.11 version. I tested with just Forge and only this mod. The world will NOT generate. It just gets stuck in "Loading World - Building terrain". I hope a fix comes out soon. Love the mod. Does this affect existing chunks, or just newly-generated ones? New ones. It is a world generation mod. Bedrock in your loaded chunks already exists there.